It's gorgeous. 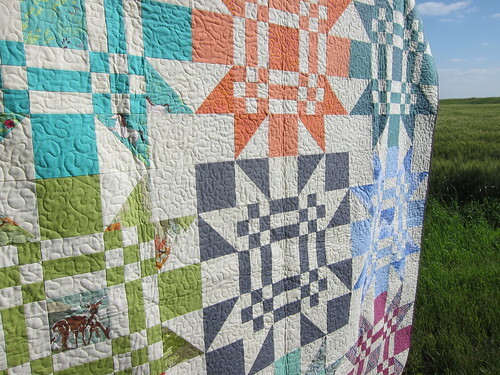 The quilting looks great -- I agree you wouldn't want anything to compete with those fantastic blocks. 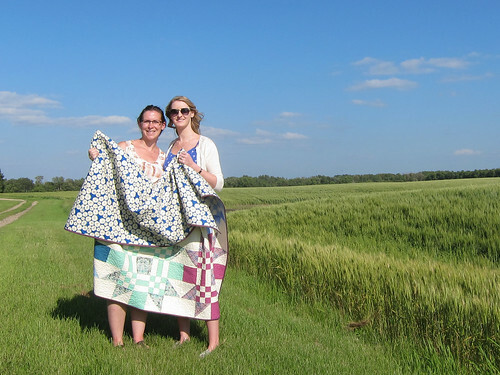 Your photos make me want to visit the prairie! And i love the shot of the two of you! Beautiful work as always! Looks fantastic! My daughter recently moved to Manitoba. I have never been that far East - and I am glad to read you say it is a good place to be. 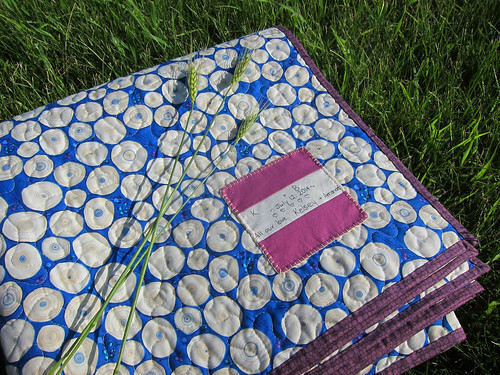 The story of the help you got at the wedding made me smile and I know there are good, no, great people everywhere, it is just far away. 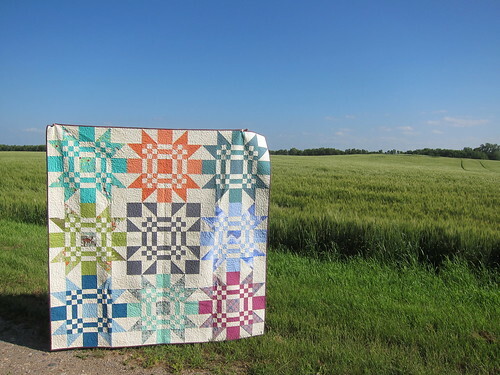 Love the quilt, love the story and thanks for this post. 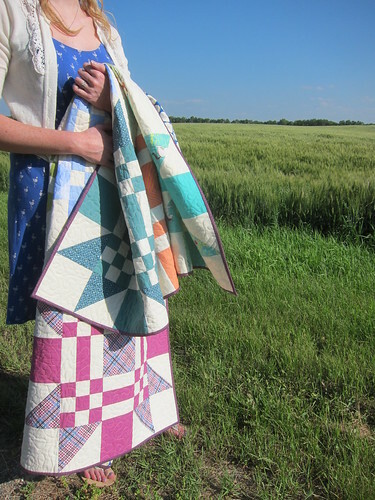 love this quilt- and the pictures - dorky ones are always the best! I would freak if I was a bride with an outdoor ceremony planned and bad weather, but then again I'd never plan an outdoor wedding...haha!